My take on the New Orlean’s shrimp gumbo recipe! This dish is hearty, rich, and packed full of vibrant flavors in every single bite. This shrimp gumbo recipe features tender bits of sausage, chicken, and shrimp come together to bring you one outstanding shrimp and sausage gumbo recipe that will become a family favorite. A homemade roux for added flavor for that authentic creole cajun flavor. If you have ever had a taste of shrimp gumbo you know what I am talking about when I say this is one hearty and rich dish. The variety of ingredients come together to create an outstanding dish. Pair with some cornbread and use it to lather up all the last remains of the sauce in your bowl. 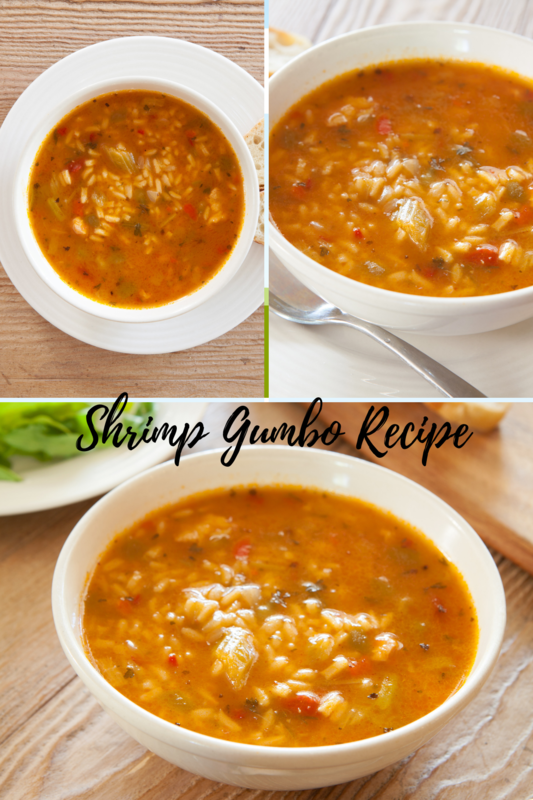 This recipe is absolutely amazing and I LIVE for a good shrimp gumbo recipe! 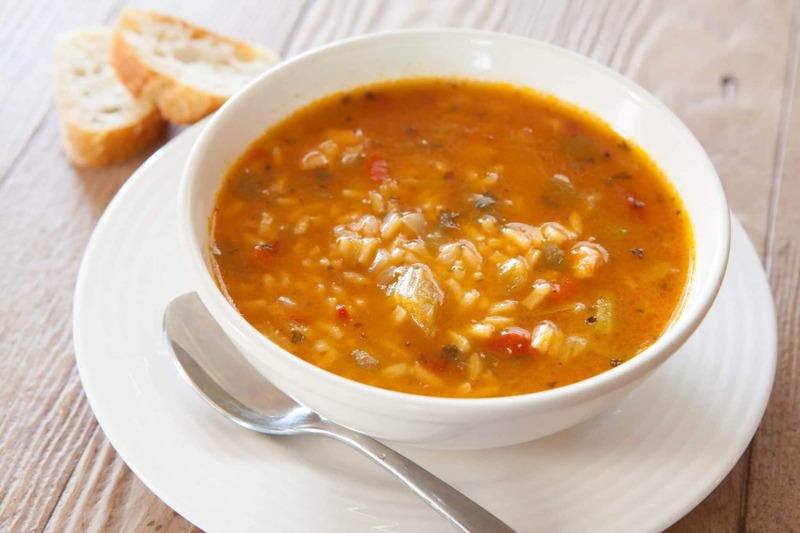 Gumbo is a dish that offers a rich and complex element of flavors. It has a really rich dark roux and the longer it sits the more flavorful this shrimp and sausage gumbo dish becomes. That is why you hear quite often that a lot of people cook their shrimp gumbo low and slow for a long time to really lock in and marry those flavors. Gumbo tends to be a more thick-style stew since you have a rich thick roux and contains a handful of proteins paired some rice throughout. While Jambalaya is similar but more of a rice-based dish, where there isn’t a ton of sauce like this shrimp gumbo recipe. Both have some different varieties of protein and use rice. Oil | I do recommend that use you a vegetable, canola, or corn oil. If you use something lighter like coconut or avocado oil that has a lower smoke point, it will not handle the head and the longer cook time. Stirring | Making sure you stir your shrimp gumbo often is a must. It can stick and if you want success you have to take the time to baby your gumbo. Trust me it will be worth it. Cookware | If you use a really light pan it can get extra hot and burn your roux a lot easier. I recommend using a heavy bottom pot like a dutch oven. 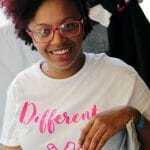 These tips will help set you up for success and give you that rich and savory homemade shrimp gumbo. Need more hearty recipes to try? My take on the New Orlean's shrimp gumbo recipe! This dish is hearty, rich, and packed full of vibrant flavors in every single bite. This shrimp gumbo recipe features tender bits of sausage, chicken, and shrimp come together to bring you one outstanding shrimp and sausage gumbo recipe that will become a family favorite. A homemade roux for added flavor for that authentic creole cajun flavor. Season the chicken thighs with salt and pepper. Bake in a 350-degree oven for 25 minutes. Allow to cool at room temperature. Once the chicken is cool enough to handle, cut into spoon-size pieces and set aside. While the chicken thighs bake, bring the chicken broth and neck bone to a simmer in a sauce pan over medium heat. Simmer for 30 minutes. Remove neck bone. In a large pot over medium heat, combine the flour and 5 tablespoons of the vegetable oil to form a roux. Cook the roux over medium to medium-high heat, stirring frequently, until it reaches the color of chocolate this will take about 20 to 30 minutes. Add half of the onions and half of the green pepper to the roux and sauté, stirring frequently, for three to five minutes. Add the roux mixture to the stock and bring to a simmer. Add the bay leaf. In a medium sauté pan, sauté the remaining onions and green pepper in the remaining tablespoon of oil for five minutes over medium-high heat. Add the garlic and sauté an additional three to five minutes. Add the canned tomatoes with their juice to the sauté pan and stir to combine, add this to the simmering stock and roux. Place the sauté pan back on medium-high heat and add the sausage. Sauté for three to four minutes. Add the diced chicken to the sauté pan and stir well. Sauté for two to three minutes, add this to the simmering stock mixture. Simmer the gumbo gently for 45 minutes to one hour or until flavors have combined and vegetables are tender. Season to taste with salt, and pepper. When ready to serve, stir in the shrimp and turn off the heat, allowing the heat of the gumbo to cook the shrimp. Ladle about 1 cup of Gumbo into a bowl and add 1/2 cup of cooked rice.